Often, people know about Colorado as a mountainous tourist destination. However, besides hiking, it is a pity if you don’t try water activities here. Mother Nature bestows the area with a large number of lakes and river which picturesque scenery. So check out the list and choose a destination for your family and friends’ best kayaking in Colorado trip. Lakes and rivers here are suitable for both peaceful and rigorous adventures. Most lakes here are calm enough for starters, while rivers can have rapids of various degrees. You can rent whatever you need for a trip near where the activity takes place. Here are 10 most amazing spots for kayaking in Colorado you should take note. The lake is located near the spectacular Rocky Mountain National Park, where you can see a moose or a bear near the border. It spreads over an area of 185 acres and has calm water, offering a calming paddling trip. 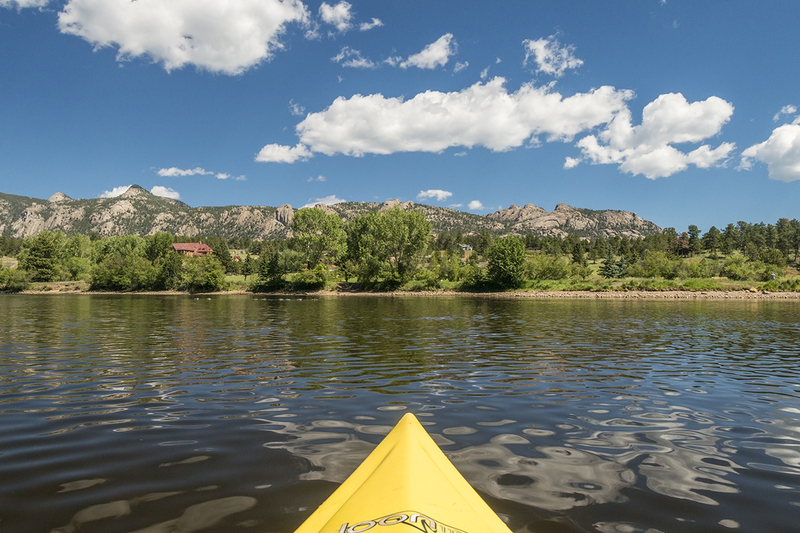 Kayaking in Estes is a great start for people who just take up the activity. Around the lake, there is a town with a wide range of amenities, from hotels to restaurants as well as fishing spots. Lake Estes Marina, which is situated at the eastern end, is where you can hire a kayak or other watercraft. You can launch your own vessel here, too, as long as it doesn’t have a motor. Arkansas Headwater Recreation Area is one of the must-reach destinations if you are into whitewater kayaking. It is quite popular, as a result, so don’t forget to book in advance before heading to the spot. The river offers class 4 and 5 rapids, so it is definitely for you if a rigorous adventure is your cup of tea. People who have heart disease history is recommended not to try, and those who kayak for the first time should leave it in the do-it-later list. The Bear Creek Lake Park consists of three lakes, which are the Bear Creek, the Big Soda, and the Little Soda. The first one is the only water body that allows boats with a motor. All around the spot is the beautiful Front Range landscape, which can become absolutely stunning at sunset. Owing to the spectacular views, you are recommended to include a picnic in your short trip here. Think about the number of photos you will come home with and give the place a tick. The Navajo Reservoir is right in the Navajo State Park, which lies between Colorado and New Mexico. 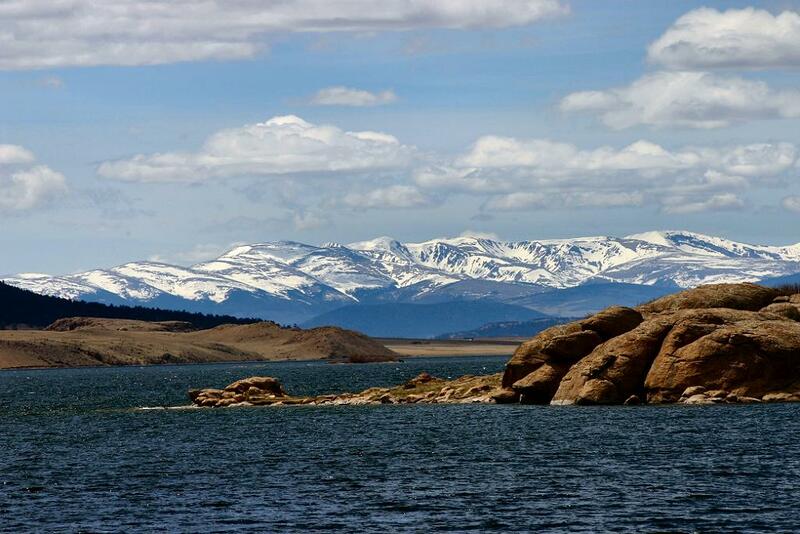 In fact, the Navajo Reservoir flows into the state, too, but it can be counted as one of the best kayaking spots in Colorado because the most interesting part is on this side. Do you know what people often say about the place? It’s HUGE. And there is a myriad of ways to explore, including kayaking. The wonderful sights are waiting for you along the adventure, so you can extend the trip by stopping somewhere on the way and enjoy an outdoor night in a camp. A trip along the Rio Grande is something you can boast when you go home. Coming to the place, you are able to enjoy floating through the spectacular wilderness on various rapid. The difficulties you have to conquer are ways too many, but it is exciting enough to make most people want to come back. To rent a kayak, you should go to 8200 Mountain Sports in South Fork. Its service is the most reliable in the area, and there are various types of vessels for you to choose. You can find a guide here if you want, too. If being surrounded by thick trees is your cup of tea, Sylvan Lake is just right for you. It is also a great choice if you want to spend time hiking in Colorado, too. If you don’t have time for a little walking, it is alright since just the beauty around the water is enough to stun anybody. Eleven Mile Reservoir is famous for the unique rock formations, which you can take a lot of pictures. The area doesn’t have many trees, so the rock somehow justifies the shortage. The reservoir is quite large, and the number of people coming here is nothing compared to such huge area. The water of Eleven Mile is not so rapid, but it can get a bit windy sometimes. Therefore, it is not a good idea to rent small boats if you are inexperienced. Being one of the most beautiful turquoise lakes in the region, Harvey Gap is a great destination for a weekend trip. The area is somehow modest, but the stunning views will make you want to come back as soon as you leave. There are full of water bodies where you can have the best kayaking in Colorado experience. Some of them are peaceful, some are terrific, so the only thing you have to remember is to keep an eye on the rivers’ condition. Some spots require a certain kayaking level, but most lakes are enjoyable for most people. it. “Well, this really is hilarious, you see, you will find there’s far-left leaning former high-ranking bureaucrat investigating an even further far-left administration. These pre-packaged solar panel kits have practically all you need to build your own renewable energy solution directly in your garage or workshop.